It was 25th of March when I received a notification from Tripadvisor about the top 25 best places to travel in the world this 2016. I know that the Department of Tourism has been doing its best to promote the Philippines globally in the past few years, thus, I’m confident that I would see the Philippines on the list if not in the world category at least in Asian category. As I slowly browsed through the list of the best places, which by the way were voted by the members of Tripadvisor, I was happy to see some of our neighboring countries who made it this year. There were Vietnam, Thailand, Indonesia, and Cambodia. Further down the list, I was hopeful I’d see my dear country, the Philippines, so imagine my reaction when I’ve completed reading the list and realized that it is not included. It was a mixed emotion; I’ve been promoting my country every day through my blog and social media. I’d been saving my money to discover its beauty and promote it to the world so it broke my heart that my country didn’t make it to the list. I checked the Asia Category and ended up being more frustrated. Even in Asia, the Philippines wasn’t able to make the cut. 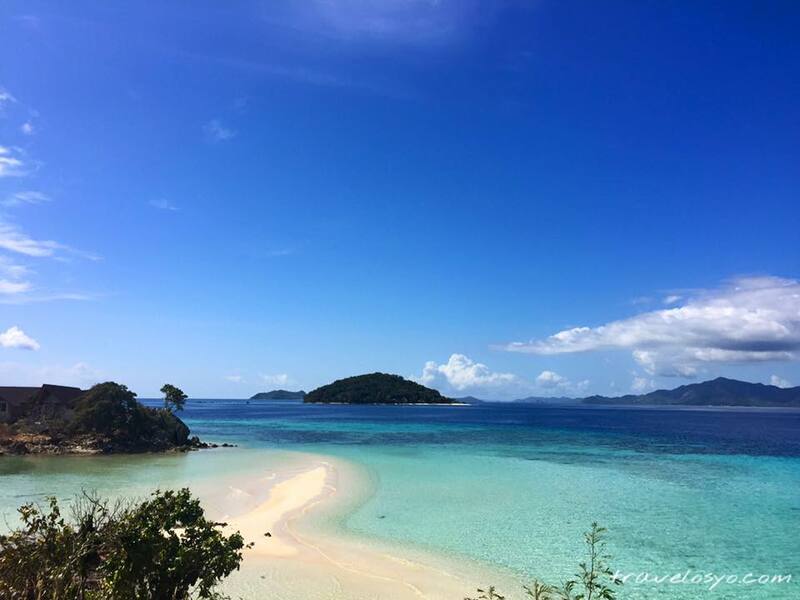 The Philippines has 7,107 islands (7,500 if we are to include the latest discovery), branded as the Pearl of the Orient, and it has the one of the best islands in the world, Palawan. 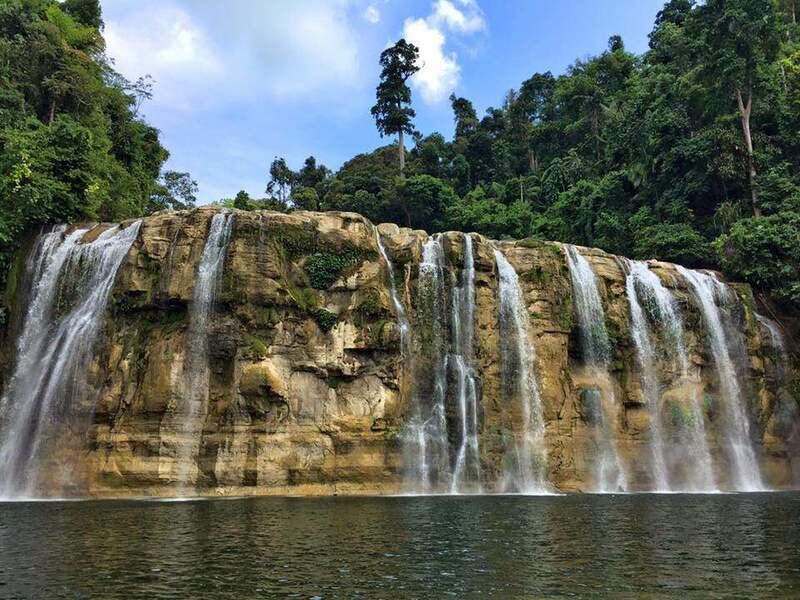 And it has so much more to offer; century old churches, majestic mountains, rice terraces, volcanoes (including the one with the perfect cone, Mayon Volcano), Chocolate Hills, fine white sand beaches, enchanting rivers, and rich and diverse marine life. And we the Filipinos are known to be hospitable, happy, and friendly people, who by the way can speak in English. Also, we serve delicious dishes. We have so much to offer beyond what I’ve mentioned, so it makes me wonder why we didn’t make it to the list. I don’t want to sound dramatic or bitter that we didn’t make it to Tripadvisor’s Travelers’ Choice. Some people may argue that the list is not credible, or that they wouldn’t base whether a country is the best or not on Tripadvisor. It’s your opinion, I respect it. In my opinion though, many people still rely on Tripadvisor’s reviews when they are traveling. I myself read reviews there and though I still believe that Tripadvisor is an influential website for traveling. They have the power to convert this list into a number of visitors and looking on a big picture, in case we made it here, may drive more tourists into our country that could help boost our economy. I mean, who among us doesn’t dream of traveling to places branded as the best by the travelers around the world? I know that every country has its own beauty to showcase to the world. I’d been to some places that were included on the list and I’m confident that the Philippines could be equally or more beautiful than those. I’m not questioning who made it to the top, but I couldn’t help but ask this question, Dear Philippines: What’s Wrong with You? 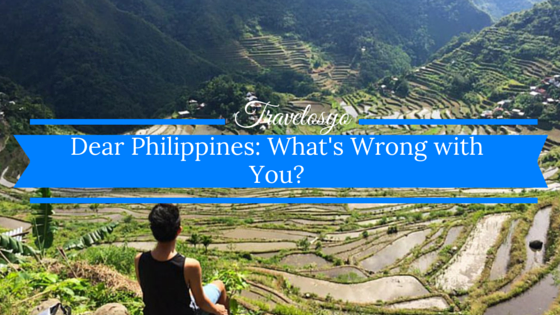 What could be the reasons why tourists are hesitant to visit the Philippines? With the series of bombings, kidnapping, and terrorism that are still happening in the southern part of the country, news about airport scams, and crime rate, it is no wonder that the Philippines is deemed dangerous by the tourists. These news are broadcasted worldwide both on television and social media. People think that your life will be in danger when you visit our country. People fear things that they don’t know.Change the way you think about foreign land, I can’t assure your safety when you visit my country but crimes and terrorism don’t only happen to us. It’s happening worldwide. I remember a month before my visit to Thailand, there was a bombing that happened to the capital but it didn’t stop me from going there anyway. I’m vigilant, I take care of myself, and I’m responsible for all my actions. If I let fear overcome my decision, I will never discover how amazing Bangkok is. If you know how to be vigilant and do your research, there are only a few places that have a warning to foreigners to see in the Philippines. 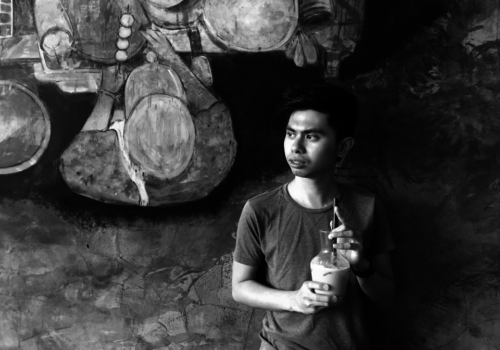 I have been to some places in Mindanao, which they say, is not a safe place to travel. But look at me, I’d been there, still alive and now writing this story. I can say that in general, the Philippines is a safe country to visit. I hope that the notion that this is an unsafe place would be dispelled and not discourage anyone from going here. It frustrates me that most people who say that this is not a safe place to travel have not even gone here to begin with. Why not go here and experience it by yourself? If I have to compare it with some of our neighboring countries, I would also think that the Philippines is expensive. Yes, I believe that our offered vacation comes with quality. The same with other countries, we have luxury hotels and tours but if you are on a budget you can find a decent hostel in Manila for as low as 10$. 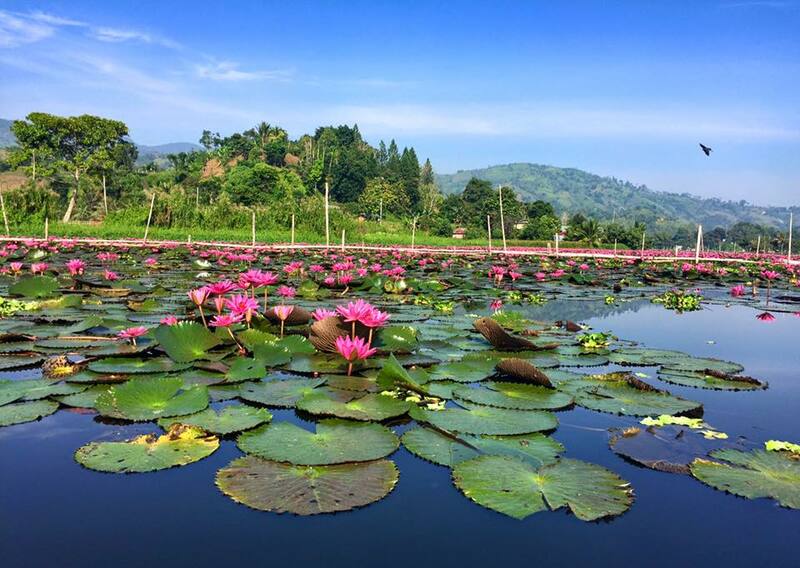 I stayed in some Southeast Asian countries with decent accommodation for as low as 6$ per night. This rate may be hard to find in our city but if you go to the countryside, you can find an accommodation for only 6$ per night. 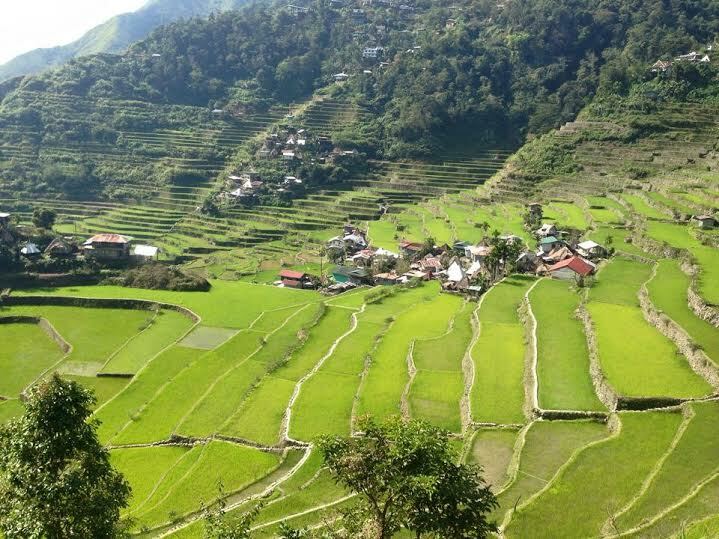 Try visiting Batad, Ifugao and see for yourself an amphitheater view of Rice terraces which is one of the heritage sites in the world. 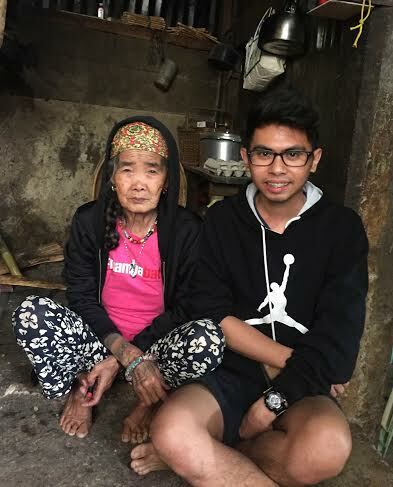 You may also visit Apo Whang-od, the 98-year old traditional tattoo artist who practices the art of batok in the humble village of Buscalan in Kalinga. Your 6$ for accommodation will surely give you a mind-blowing view of the terraces and an unforgettable experience living with our locals. It is true that the Philippines is consists of over 7,000 islands. 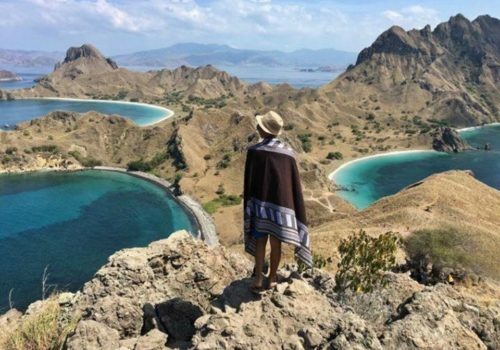 We are considered as the second largest archipelago in the world, next to Indonesia. If you do not plan your vacation well, you may find it hard and expensive to move from one island to another. On the brighter side, it means that we have thousands of different adventures, jaw-dropping views, and experiences to offer. What do you want on your next vacation? Name it, we have it! (Of course, with the exception of winter and snow). To move from Manila, you need to fly if you want to visit Boracay, Palawan, Cebu, Iloilo, Davao, and other major islands. Taking a ferry is another option if you have enough time to stay longer. If you plan to visit the northern part of the country, from the capital it will take a 5-hour drive to visit Baguio then another 5 hours to visit the Mountain Province, or less than 10 hours to visit the Heritage City, Vigan, which is one of the 7 wonders of the world. We also have budget airlines that offer domestic flights to major destinations in the country. In fact, Cebu Pacific and Air Asia Philippines are giving away promo flights almost every month. Just follow them on Facebook to be updated. You can score a domestic flight for as low as 22$ if you book using these promos. I don’t see our geographic location as a problem; I see it as an opportunity and a blessing. Our country has all the potential to be the best tourist destination not only in Asia but in the entire world. But we keep shooting ourselves in the foot, doing or saying things that at the end of the day hurt the image of our country. We have too much negative branding in the international media that make us hard to visit. Our International Airport in Manila, which serves as the gateway to all the wonderful places in the country was once considered as the worst airport in the world. Put it this way, how would you invite someone to visit your home when the façade looks like a horror house? We will continue to miss a lot of visits until our government provides a concrete plan to improve the infrastructures, safety, and security needed to boost the tourism. It should start with the government and with the people. It should be a joined effort to introduce the Philippines to the rest of the world. The government can always expect promotion from bloggers and ordinary people, in return, we expect that the government to do their job to improve our international airports, create projects and infrastructure to resolve the problem of traffic and to easily link one place to another. It’s never too late to fix all the damages or the problems this country has. Indeed, we have a lot of work to do. I still have high hopes that it could still happen in our country. I hope that you, my fellow Filipinos will never get tired of promoting the beauty of our motherland to everyone. Keep promoting our beloved Philippine country, someday the whole World we will be known us as one of the best country must visit here in Asia. The politics and negative news sometimes overshadow the beauty of our country and what it truly has to offer. It’s a sad fact but a reality. Hopefully, we are able to improve with this new government and showcase the Philippines for the wonder that it is. I’m pretty sure there’s nothing wrong with the Philippines. Just think how many countries are there in the world. The Philippines is not even as big as one state in US, California. My point is, the country is beautiful – no ranking from a website can take away that fact. It doesn’t have to be the world’s most beautiful – or among the top 10. Hope you visit our country soon. Arrival rates are growing and I hope that the government can accommodate it without sacrificing the beauty of our country. Great post. I strongly feel we are slowly getting there. 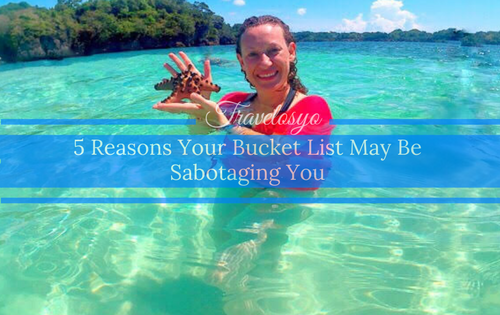 Despite not making it to the list, the collective efforts of the travel bloggers community has brought our country’s beauty to light. I am impressed by the number of Western tourists I have met in Southern Luzon and Visayas extending their stay in the Philippines. Some didn’t want to leave and even decided to work remotely from here. They’re all drawn by the warmth and hospitality of our beautiful country. Sadly, those who have only heard of the Philippines via negative news still identify us as unsafe . i was often asked why I decided to move back to the Philippines due to countless typhoons and calamities that strike us year after year. My answer often is, “if it’s my time, it’s my time and there’s no place I can hide to avoid that.” Crime and disasters happen anywhere in the world. It’s a great time to work on improvements in our infrastructure and care for the environment to protect our gorgeous country. I have faith we will get there. I appreciate sharing your insight on this blog. Likewise, I’m amazed that the numbers of the foreign visit are increasing rapidly. I also have high hope that one day we will get it there. Thanks again! Keep spreading positive news about our country! That is so surprising… We’ve been eyeing Philippines for some time now and everyone who’s been there has only good things to say.. Not sure if the terrorism angle holds true because Bali, another example of the terrorism angle still manages to draw tourists in hordes. Infrastructure is however a major concern and has been shared by a lot of our blogger friends especially in comparision to countries like Indonesia and Thailand. Well, we have a new President I hope that he can focus more on Tourism. But nonetheless, I could say that Philippines is Moving Forward. It sure does TripAdvisor is very influential in terms of engaging people to visit in a certain place but if we weren’t able to make it to the list, there is still hope the next time around. What we can do, most probably, is to never get tired of promoting our very own. It’s never too late for us to make our own buzz, I guess. But then, I get your point that it would be, somehow, an advantage to get it to the list. there must be few people who reviews about the beautiful destinations here in the Philippines reason for that survey. I am disappointed we are not listed. 🙁 To think there are a lot of tourists who are going here. Anyway, i think it is also because of the poor airports/ports we have. me and my bf went to Boracay last Feb and we overheard foreigners conversing. They said they are disappointed. too much traffic, delayed flights, unorganized lines on ports. sigh… maybe this is one reason. I can really feel your passion when you write about your country. I know alot of people from the Philippines and I have found them to be the most friendly and pleasant people I know. I would love to visit and judging by your pictures it looks very beautiful. Hopefully some day I will be able to see it for real. Thanks Clair. I appreciate your comment 🙂 Hope to see you here someday. The philipines looks like an aammaaaazing country. I see those pictures and then I start to think how much wanderlust I get wanting to go there! =) Yes I understand that you ask what’s wrong with Philippines… but the truth is; the country is amazing. I know theres always rumors. Like that it’s dangerous for example and yes, some thing actually happen of course. But that happens here too in Europe. People get shot every day. It’s just not public. The bad things are not in the news. Every country has dangers but maybe it’s about how people feel going somewhere. I would suggest to everyone; go and see. Exactly Sabine, If we let fear eat us, we should not go out of our homes. There is so much beauty in this world and fear stop us to explore it. This is the reason why I made my own list and I included the Philippines. Do not fret, our country is really beautiful and I am only seeing it now after years of traveling the world! My wife is originally from the Philippines and we have dreamed of bringing our children back to visit. 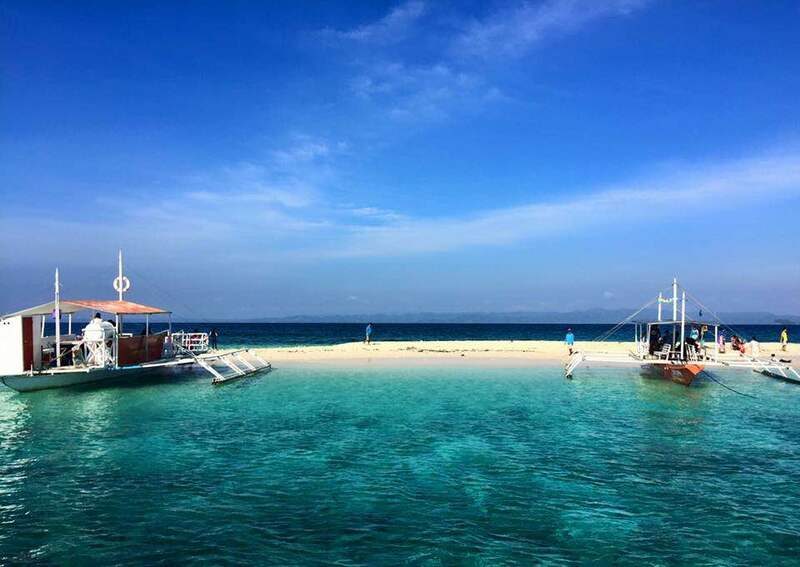 We have talked with many people and most people say that as beautiful a travel destination the Philippines is, it’s the constant scams that get people concerned. We will definitely be going within the next few years, but we will always be on our guard when we are there. I’ve heard mixed reviews about the Philippines. some have loved it, some not so much. i always here about the amazing diving there! I’m surprised it wasn’t included – I hear so many great things about the country and it seems I’ve read tons of blog posts lately. Maybe the traffic and promotion from travel bloggers will help to emphasize the reasons to visit like the ones you mentioned. I know I’d love to go! Hmm interesting! I have never travelled to Philippines but i have recently added it to my list and will be venturing there in July! Mainly because of the amount of travel blogs i started reading that showcased the beautiful islands! What a very heartfelt post. I can see your frustration. Personally, I loved the Philippines. I’ve been many times(perks of living in Singapore) and I’ve never had an issue. It doesn’t matter which airport you go to, there is always some scammer trying to scam, etc. it’s up to us bloggers to inform people traveling about those things and if possible, get them to come enjoy themselves regardless. This is a great start! Gosh, these photos! So beautiful. I think you are right that tourist probably fear based on the crimes and what not. However, if things get better, I see a lot of people putting it back on their list! I have to say I don’t know much about the Philippines. it is not a country that you here a lot about from a tourism perspective. I do know of several bloggers that write about the Phillippines and what I do see it looks lovely. You guys should be proud of your country. Keep up the good work and more people will learn about all it has to offer. I want to go to the Philippines one day. As far as the reasons and people’s choices, there are so many places in the world that definitely deserve to be discovered, but that aren’t on top lists… either due to lack of well done promotion, or pure lack of interest. I’m glad to see such a detailed article about the Philippines and how this part of the world really is. I am a Filipino. and I also believe that Philippines is still underrated. So we just keep on pushing to promote our beautiful country! So let’s explore our country and share our stories! Beautiful post! I have been in the philippines many years ago and I fell in love with it! I really need to go back there! BUT I also haven’t included it into my top destination list of 2016, there are reasons why other places get to the list, because of rapid changes and the eagerness to go there before it is too touristic. The philippines are still developing and are yet still more of a honeymoon or backpacker holiday than of a mid-normal traveller. I am sure this will change within the next 2-3 years ! Thanks Miriam, Im also positive that we will make it there someday. 🙂 Hope to see you here again! Philippines! Philippines! it is still the best country in the world since it is my home country. I have been to over 40 countries and it is always the best. I was born and raised in Pinas and still everytime I go home, I am always ripped-off from the airport to taxi drivers and tour guides..Everytime I travel anywhere and when fellow travelers and people I met on the road asked me where I come from, I always tell them “from the Philippines” and even telling them to visit our beautiful country. I can’t wait to be home again! Nice post here! Thanks for sharing this information, Liz, I’m glad to know that they didn’t regret visiting our country. I understand that we are still a working progress, I do hope that prices of domestic flights will continue to go down to encourage more people to travel here in our country. 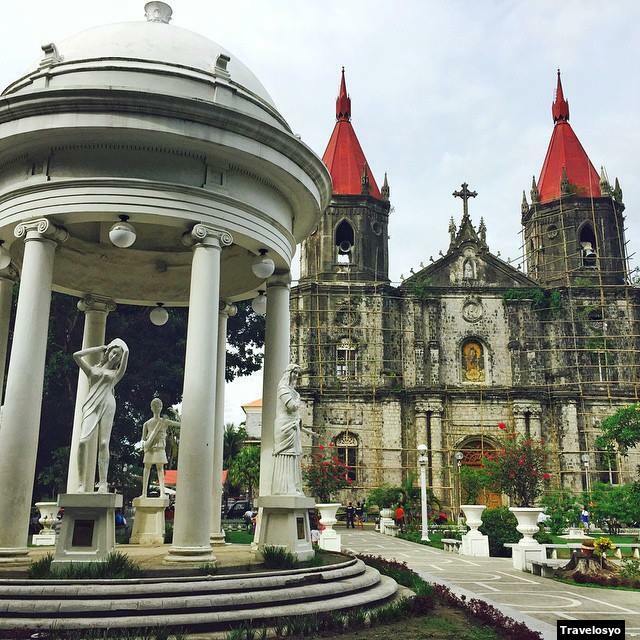 If you need travel help when you start planning your trip here in the Philippines. Feel free to contact me. I’m surprised that Philippines doesn’t rank, because there’s no question about it’s value as a destination. Personally, I think it is a little expensive and cumbersome to get to. I was hoping to spend some time in Boracay this May, and its going to cost me twice as much to get there, as it will to get to Koh Phanghan, so naturally I’d rather go to Thailand. Of course that’s just one person’s opinion, and maybe other travellers do not have the same preferences, but I can imagine that being one of the main reasons. It being scattered is of course part of the same story. I can’t tell you how many blogger friends and other travellers that have been through the south-east keep urging me to make a trip to the Philippines, but it really looks difficult at the moment. I understand where you are coming from. In case you decided to visit our country. I can help you to plan your itinerary so you can save money. Feel free to contact me. Ack, I totally understand your frustration about your beautiful country not making the list. It’s strange – I actually haven’t heard of many negative things regarding the Philippines… Maybe I’m just sheltered haha. I’ve wanted to visit it for a long time, mainly because I have a few Filipino friends and seeing their photos from home makes me so envious! Someday I hope to make it to the Philippines for sure. 7000+ islands sounds pretty awesome to me! Thanks Christina, In case you decided to visit us and you need help. Feel free to contact me. Ill be glad to help you. I would love to visit the Philippines. It looks such a beautiful place. It is such a shame that some people are put off by the idea of crime and terrorism! Bad things happen all the time all over the world, if you really think about all the bad thing that could happen you would never leave your house! Agree, if you think crime and danger all the time. You surely will never go out of your own house heheheh! Hope to see you here someday Nikki! I have heard from multiple sources that safety is definitely an issue! Philippines are such a wonderful travel destination and they are definitely on my list of places to travel to. I loves your pictures showing gorgeous spots of this place. 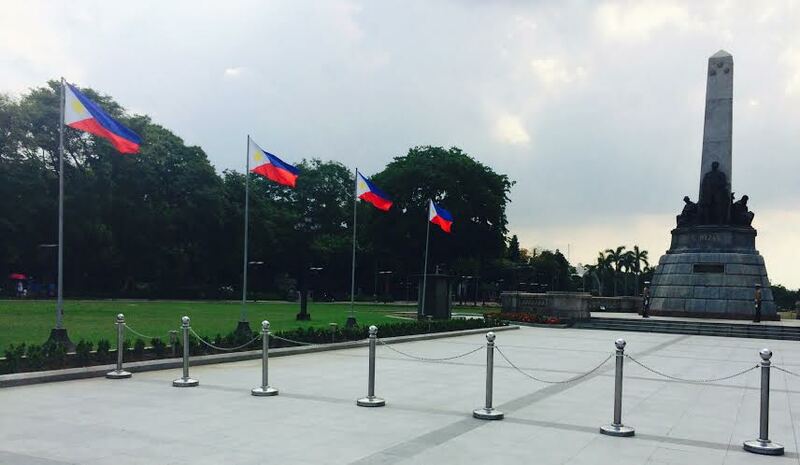 This post is a wonderful tribute to your country of the Philippines. The things you don’t have, are the reasons I would love to come! I don’t like winter or snow, so that makes it very enticing! Your photos are beautiful and really do make me want to visit. 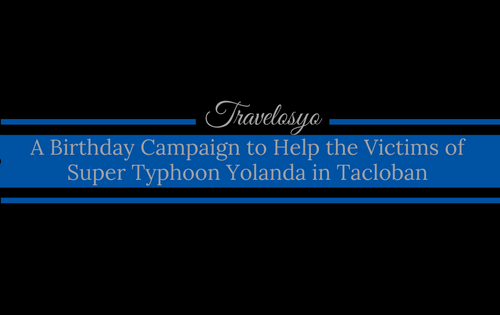 there are a number of other bloggers who are doing a great job in promoting your country. with you all working together, hopefully, it will help. I’ve pinned a few of your photos and will tweet your post. Hope it helps! I’m really surprised that Philippines are not on the list, I always wanted to visit this country. When I saw your pictures, I want ever more. I feel like top ten lists aren’t necessarily the best way to base a country’s popularity and don’t get too upset when my own country doesn’t make the list! 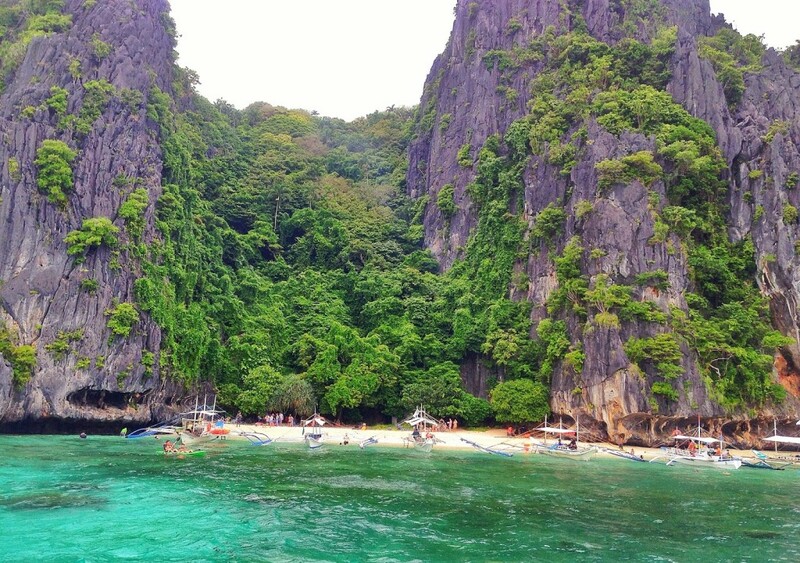 Perhaps a better way to look at it is that the Philippines is a hidden gem? It is blogs like yours that will inspire people to visit. I personally have never visited the country, but it has been on my list for a really long time. I’ve heard amazing things about the beaches. I also loved all the information you gave about safety and tips on how to travel within the country. Hopefully I’ll make it there someday. 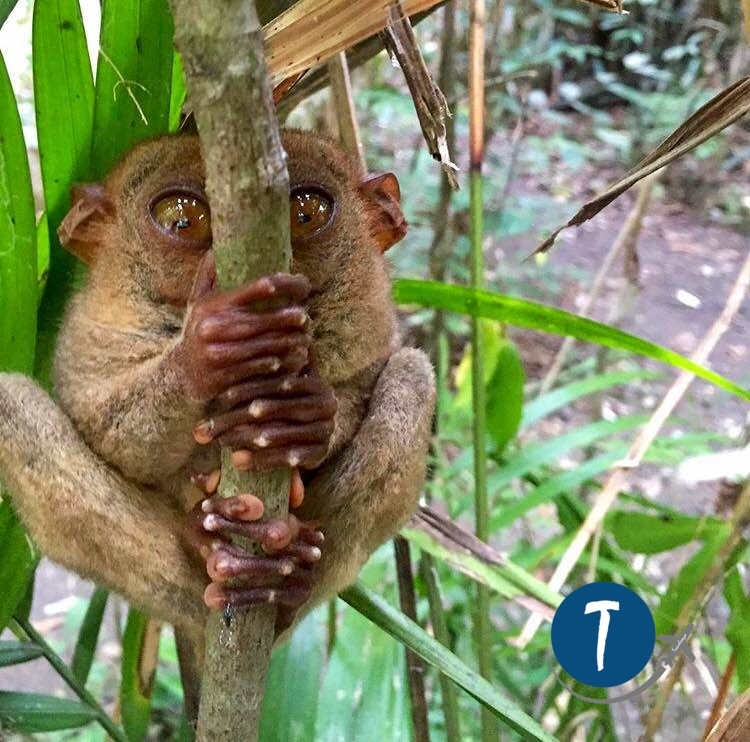 I spent two months in the Philippines and I loved the nature. People are truly amazing and I still tell the story to my friends how local people invited me to wait until the rain stops in their houses, or offered me a shirt when I was freezing on a banca boat. They are also very honest, or at least that was my experience, really some of the nicest people in the whole world! But that is not enough for a comfortable travel. 1. It is difficult to book something online and it is even more difficult to make a phone call. Only when I came to the Philippines I realized that people text each other (I know tariffs are high). But that doesn’t help. Perhaps there will be one or two amazing Philippinos who could create a big tourism portal and help travelers connect to service providers, like a transfer from PPS to El Nido, etc. 2. The prices are higher than they are in other beach destinations. 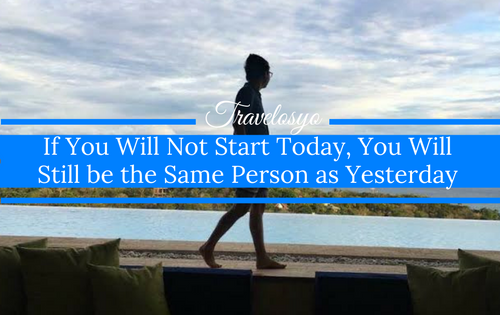 It was so difficult to find a decent hotel room lower than 100 usd per night in Panglao in January, or small houses/villas/townhouses at 35 000 php per month. We were really lucky to have friends who rented out a room until we found a good deal. Being a tourist is not very cheap in the Philippines, and I regret it because I loved it so much. I think what happens is that there is no government regulations or tourism policy. Don’t worry my friend! The Philippines is still on the top of my list of places I’m dying to visit! I swear, tripadvisor must just be throwing darts at a map in order to pick ones for their list. People are always afraid of safety in traveling anywhere it seems, but what people don’t understand is that your own hometown could be just as dangerous as a foreign place! Bad things happen everywhere, and that shouldn’t stop people from seeing the world. Great post! Exactly Jualiana, thanks for highly considering to visit us. If you need travel help here in the Philippines. Feel free to contact me. I will help you to plan your itinerary for free. As someone who lives in a country that is often deemed dangerous for travelers (Guatemala), I know that these warnings are often overkill. Yes, countries can be dangerous, but often the danger is not as bad as it is hyped up to be. Also, the dangers are often the only thing reported about the country, which can really affect how people see it. All the Filipinos that I’ve met have been wonderful, friendly people, so I would love to visit the country someday. I personally really want to travel the Philippines, but honestly I hadn’t thought of it until after I had already traveled in Southeast Asia. I think you’re spot on with the reasons you propose for why people don’t go there. I know for me personally the “The Philippines is hard to travel because it’s geographically scattered” reason resonates the most; it’s intimidating to try to plan a trip to a country of region of just islands. It sounds like it’s gonna be a logistical nightmare, and expensive at that! It sort of reminds me of the Caribbean, which I don’t think gets traveled to as much by Americans (who are really close by!) in favor of places like Cancun, which seem less intimidating. Anyways! Great post, lots to think on. Thanks Michelle for considering to visit us. Though I agree that somehow we are really hard to travel and quite expensive since you need to fly from one island to another. I can help you to plan your itinerary for free. One there is a sale from our domestic airlines. you can score a roundtrip flight for as low as 20$. If you are planning to visit us someday. Feel free to contact me. The news about the bullet on the Airport is really horrible. But I believe that the government did its job to resolve it. You will not hear any news about it though im not sure if its still existing. But I can tell you that we are still generally safe place to travel. Hope you give us a try. I would love to visit the Philippines one day! I have heard from some friends that the Philippines has many festivals and its a very vibrant and colourful place. It also has many beaches for you to relax and for you to do sea activities. I am from Singapore, and Singapore was not in the list too. Philippines will always be my first love. As a traveler who has been to many countries and cities, I always come back to the islands. 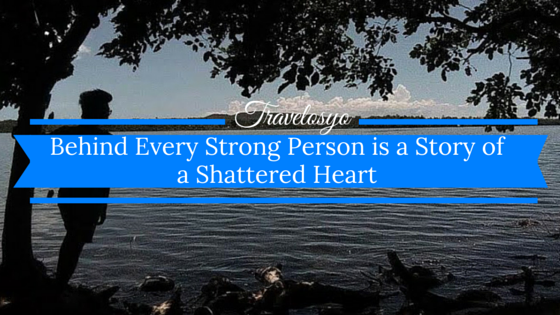 It may have a lot of problems–corruption, traffic, etc., but Philippines is full of heart and soul. Interesting post! I’ll consider the Phillippines in the future. This is really sad especially for me, residing in Mindanao. I have a lot of foreign friends and they are really hesitant to drop by for a visit because they hear that it’s unsafe. I have even invited my friends in Manila and they too are hesitant to visit. 🙁 Our country is indeed rich in natural beauty but sadly having it recognized internationally is hard because of the country’s current state. its sad to know that Philippines didnt make it to Tripadvisor’s travel choice.. well, as a consolation tripadvisor can sometimes be unreliable..hehehe… but kidding aside, i agree that oir country is deemed as unsafe for travelers..i remember foreigners who had been victims of kidnapping before esp.in the areas of Mindanao.. these kind of sad news really affects the total security of the entire nation and its beaitiful places… i hope nxt time we can make it. Undoubtably, Philippines has the most beautiful beaches and travel spots! I have been reading Philippino blogs now for a few months and have to say I am so keen to come to the Philippines!! It looks so beautiful and reading your blogs makes me excited to meet the insertion kind people of the country! I’m intrigued to see the delights and taste the food and see beautiful scenery, swim in the seas, visit a few islands and stay in a gorgeous but relatively unknown (to foreigners) hotel and I know I would have the best time! Like you say everywhere is suffering from terrorism lately but the only thing we can do is get on with life, there is risk wherever we go but if we didn’t go we wouldn’t see what the world has to offer! I will be coming to your beautiful country in the near future! Lovely post! I have never been to Philippines and would love to go there soon. Well, I would not wonder. The issue of safety starts at the airport, where people first enter when they arrive in our country. But with the spate of reports about the tanim bala scheme inside the NAIA, I would not wonder why people would prefer other countries than ours. That’s one of my lament. I shamelessly promote my city to the world but how can people get here if they no longer want to go through the Manila airport? The Philippines is very beautiful and we have to show that to the world. Some people may make a wrong impression about our country because of what they can see in the news. Hence, it is the duty of bloggers like us to share to the world how beautiful our country is! Perhaps a number if tourists and even locals find Philippines unsafe. There are issues as well like the Laglag Bala which, I guess, affected our tourism. I just hope our country will make it on the next listing. I havr traveled to many places within our country and truly, Philippines is beautiful! I haven’t been around so much whether in or our of the country, but I’m pretty sure Philippines has a lot of distinctive places. Though I agree, maybe security is a big factor. I’m not sure of their criteria, but no matter how beautiful a place is, security will be a big factor in recommending destinations. Or at least for my part, it is a big thing. Our time will come! Keep on sharing your blogs, all platform! I too am trying to promote Philippines hehe. 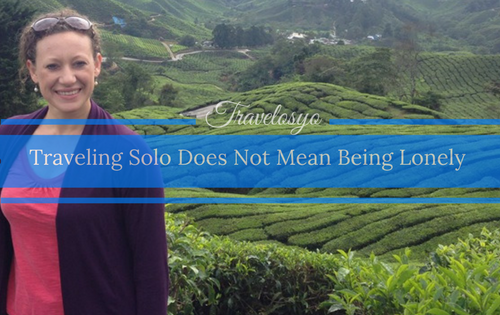 A lot of people I know have travelled to other countries but havent even explored locally. I think the best way to promote tourism in the Philippines is by reaching out to those who already live here and havent gotten the chance to see places like Baguio, Subic, Ilocos, Coron, etc. ? Most lists are just someone’s opinion and mean very little to me. I love all of the information and beautiful photographs of the Philippines that you have shown us here. I am saddened to hear that the Philippines did not make the list. You make great points in your article to the possible reasons behind this. As a Filipino, I will take it upon myself to convince more travellers to visit our beautiful country. I am personally not bothered that the Philippines didn’t make it to the list. There are many lists in the world, not just Tripadvisor, and if the travelers there didn’t think our country is worth voting, I wouldn’t think that the Philippines “has a problem,” what I’d think is that it just so happens the bulk of the travelers who voted just weren’t able to visit the Philippines yet. For sure if they did, they would vote our country. I’ve already said my take on why the Philippines is not as popular as our neighboring countries. Traveling here is extra challenging, the best places can be reached either by boat or by plane. It’s either expensive or time-consuming. The foreigners may be looking for something that they can do with the little time (or budget) they have. If say they go to Vietnam, they can go to Cambodia next without flying, and then they can go to Thailand, Laos, Myanmar, etc. In short, they can cover many countries in Asia without even flying, which they cannot do easily in the Philippines because we are too far from those countries. To me, those “geographic convenience” places a big bearing as to why those countries are more visited by travelers. Then why is Indonesia famous, you may ask. Indonesia has been famous for tourists for quite a long time. The Philippines is just beginning to make a mark, we are just starting to be known as an ideal tourist destination. Indonesia has been at it way ahead of us so there’s no point in comparing them. We may not be the most famous tourist destination now, but it can be done. It may take time, but it is possible. We all just have to work together and be unceasing in promoting our country to the rest of the world. I’d love to go to the Philippines one day. It looks like such a beautiful country wih so many things to see and explore. Great post! I’m appalled that Trip Advisor didn’t include the Philippines. (*I’m just so proud of our country that is why I felt that way.) I’ve been to numerous countries and places in the Philippines and I agree that our country really has a lot of beautiful destinations to offer with a lot of islands we have. If safety is one of the concerns, I do think that every country has its security flaws. What about the Vietnam water park scandal? It caused such a ruckus and horrifying experience for women even if it’s a private property. There are Vietnamese who can do that and can get away with it. Also, it’s not only in our country that have scammers. We’ve experienced scamming too in other countries. Thus, I totally agree with you that as travelers we should just remain vigilant. I also believe that Filipinos in general are helpful and are good that is why even if there are foreigners who had bad experience here, there are foreigners who fell in love with our country so much that they even no longer want to leave the Philippines. I agree that tourists deem the Philippines as unsafe. I have met a lot of foreigners who are so paranoid when they visit the Philippines, add to that is their experience that some drivers would charge higher rates when their passengers are not locals. I also agree that the Philippines is an expensive tourist destination. One can even visit countries such as Cambodia and Singapore yet spend less than dive in Palawan. However, I disagree tourists veer away from the Philippines because the state is geographically scattered. It is actually our country’s beauty – the beaches, the unique kind of travelling experience, and so forth. Well, one man’s opinion. haha but overall, I ask the same question as you. Dear Philippines: What’s Wrong With You? I hope people will change the view in the Philippines as an unsafe country. I believe that generally we are still safe country. I hope that the government will extend their efforts about safety and security here in the Philippines. I just came from Thailand and I realized the Philippines is by far more beautiful. I don’t know why everyone prefers to go to Thailand. I mean it is pretty but we have better beaches here. We just really need to do something about it. I am personally not bothered that the Philippines was not included in the TripAdvisor’s list. There are so many list of best countries/islands to travel to, not just TripAdvisor. For instance, Palawan has been voted the best island by Conde Nast Traveler readers twice in the row, beating even Caribbean destinations. And to think Palawan is just one of the many provinces in the country. No. 1 reason why the Philippines is deemed dangerous. It is. 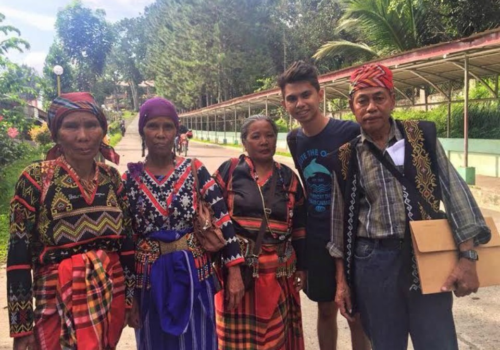 Further, it is the culture of Filipinos (many, not all) to bad mouth the Philippines when speaking with foreigners. So imagine the number of Filipinos overseas… how they act and think and what they say has an impact on the country. No. 2, by checking in the travel and expat forums, people do not like to get ripped off. As a Tsinoy myself, I still get ripped off despite the fact that I was born here and speak like a Filipino. No. 3, promoting destinations is not enough if government cannot provide adequate security and make travel infrastructure better. I agree with you, I hope we Filipino stop talking negativity about our country. We have so much positive to share and It sadden me to hear that only those negatives have been shared with others. I also hope that the government can strengthen the safety and security here in our country and do more to stop scams starting to our Airport, taxis etc.